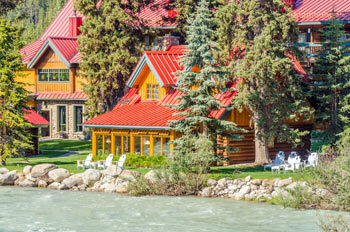 The recreational property segment in Canada is seeing a trend of steady growth fueled by record-low interest rates and a generous loonie-greenback exchange rate, a recent study revealed. In Alicja Siekierska’s report for The Globe and Mail, approximately 83 per cent of the markets assessed in Re/Max’s latest survey of Canadian agents and brokers showed that majority of recreational cottage purchasers are retirees. Meanwhile, 53 per cent of the surveyed areas reported an upward spike in retiree transactions this year. In addition, the survey revealed that an increasing proportion of these buyers are hailing from the country’s hottest cities, and even from the United States. “The people that we worked with have long wanted to buy a vacation property here in Canada, but they’re also realizing that they’re saving a lot of money by using their European or American currency to purchase a home. It’s a bonus that the dollar here is low,” Royal LePage agent Gail Burton said. “I think more retirees are looking at Canada through more practical eyes,” Re/Max North America chief executive officer Pamela Alexander agreed. “The U.S. economy is still coming out of turmoil and still recovering. I think we’re going to see more interest in the recreational market, depending on where the Canadian dollar settles and where the American economy settles,” Alexander added. A similar uptick occurred in the 90s when the dollar dropped to as low as 62 cents U.S., which encouraged foreign buyers to purchase Canadian cottages en masse.